I recently had the distinct pleasure of co-hosting a charity idea dinner with my friend Alex Rubalcava of Rubalcava Capital Management. Alex is on the board of an incredible organization named South Central Scholars (SCS) and he asked me to help him plan the event. Right off the bat, I really liked the idea of participating in an event that involved two things that are quite important to me: investing and education. If you ask me what the one major threat to the continued prosperity of the United States is, my immediate response would surround my concern for the state of public education in America. As such, I gladly offered to help plan and promote an event that had the goal of raising money for underprivileged students and also provided an opportunity to talk about investing. 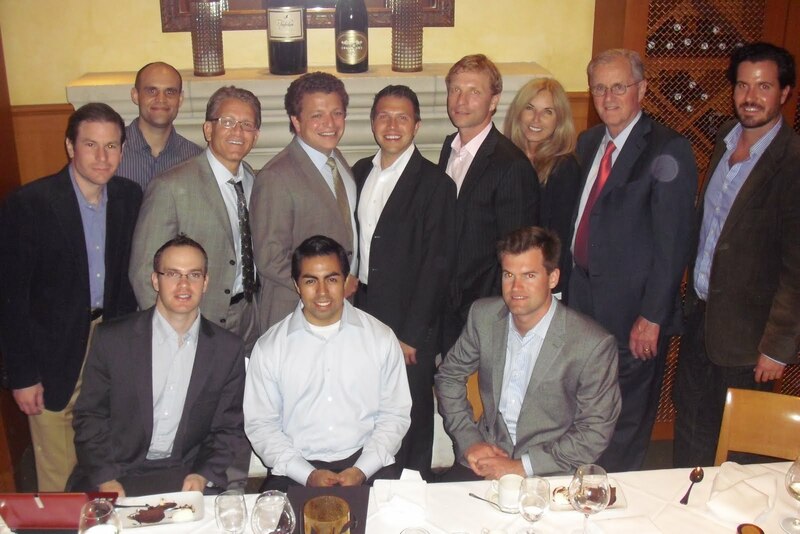 The format was simple: attendees were asked to contribute a charitable donation to SCS in exchange for a three course meal and exposure to the investment ideas of some of the brightest minds in Southern California. Also attending as an interested observer was Chuck Gillman of Boston Avenue Family Office. Finally, there were a number of people who were kind enough to donate but were unable to attend: John Schwartz (organizer of the Value Investing Congress), Lance Helfert of West Coast Asset Management (my former employer), Alan Schram of WellCap Partners, Dan Anglin of Prince Henry Group, and John Dash of Dash Acquisitions. Most importantly, we were privileged to have the founders of SCS, Dr. Jim London and his wife Trisha, at the event. I personally found it motivating to see how two people who were inspired by a book (And Still We Rise by Miles Corwin) could turn a little idea into an impactful organization. Furthermore, I really enjoyed listening to Jose Rodriguez, a member of the SCS alumni community who shared real life anecdotes about the difference that SCS has made in his life. The value proposition of SCS becomes much more real and relevant when you meet someone who has directly benefitted from the work of the Londons and all of the other supporters of SCS. Alex and I wanted to thank everyone for helping SCS achieve its goals. It was a wonderful night and I feel very fortunate to have had the chance to be involved with helping to raise money for such a great cause. In addition, aside from acknowledging the generous participants of the event, the purpose of this post is to increase awareness of SCS. I know that many of the people who read this blog are not from California—or even from the US— and may not be particularly concerned about the plight of kids from South Central LA. Clearly, there are serious problems and deserving charities in every country around the world. As such, my hope in discussing the merits of SCS is not necessarily to entice people to contribute to this specific cause. If you think the value that SCS adds to the LA community is worthwhile, by all means I encourage you to become involved or help the organization raise money. But, for everyone else who would rather support causes a little closer to home, my hope is that the details of this event and description of SCS encourage you to look for ways to reach out to the educational community in your home state or country. As mentioned above, SCS was founded by Dr. London and his wife after reading about the difficulties hard-working students from South Central LA were having escaping blighted neighborhoods and going to college. Accordingly, the goal of SCS is to help motivated high school students from inner city schools become successful in college and graduate school. These talented students are often from dysfunctional families and communities impacted by drugs and violence. Sadly, the high schools in such areas often only graduate 25% of their students and even those who do graduate may not have the financial means to attend college or are not aware of their options. Putting on seminars that help students bridge any gaps between themselves and other college-ready students. Offering bridge scholarships that close void between the financial packages offered by the colleges and the actual total cost of the education. Creating a mentoring program in which students are paired with people who have had success in careers that the students are interested in pursuing. Trying to help students work around obstacles such as financial, family, academic and psychological problems that may hinder them from succeeding in college. A number of students are also homeless and SCS works to find places for these young people to stay during holidays and summers. Helping students obtain valuable jobs and internships in fields that interest them. It is hard to argue that giving these students the opportunity to go to college is not a worthy goal. In fact, the success of SCS makes the organization and ones like it look compelling destinations for charitable donations. But, anyone who approaches the world from an investor’s point of view likely wants to get the most bang for his or her buck. There are thousands of deserving charities out there. So, why is SCS any more deserving than the others? Well, given that I believe a failing educational system represents a real threat to this country’s long-term prosperity, what sold me on SCS was its ability to scale. When I asked the question about what prevented SCS from providing yearly bridge scholarships to 200 or 500 students instead of 74, the answer had nothing to do with personnel, staff or overhead. Simply, what prohibits SCS from expanding is funding. My understanding is that a large percentage of every dollar that SCS receives ends up supporting students as opposed to bloated infrastructures or administrative salaries. Further, after meeting a group of board members and founders whose only concern is helping underprivileged students, I became very comfortable making a donation. Thus, if you share some of my concerns about the American educational system and want to donate or become involved, please visit SCS’s website at southcentralscholars.org. On that site you can find a place to make online donations and can learn more about volunteering opportunities or becoming an employer of these gifted students. I hope you will consider helping SCS expand its reach. If you have any questions or comments, please feel free to contact me or info@southcentralscholars.org. First, I wanted to thank everyone for the amazing response to my request for help in finding a full-time position in the investment management industry. I received emails from people from New York, Boston, and Chicago as well as Germany and Singapore (to name a few). I really appreciate the support and encouragement I received. What I have found is despite the fact that we are located all around the world, there is a cohesive group within the value investing community that is available to assist its members. I owe a special debt of gratitude to a gentleman in New York who enjoyed my notes from this year’s Markel Breakfast so much that he decided to recommend me to a friend of his, Jeff Bronchick. Jeff Bronchick is the former CIO of a well-known asset manager in Los Angeles. After 22 years at the firm, Jeff left this firm to start up Cove Street Capital. For those of you interested in the name, Cove Street was the street that was home to Berkshire Hathaway’s original offices. However, unlike Berkshire, Cove Street has decided to locate its offices in El Segundo, CA, less than 2 miles from the Pacific Ocean. Thanks to a tip from the above-mentioned gentleman and my newly defined persuasion skills, I convinced Jeff to hire me to be one of two analysts that will help manage $400mm of assets for both institutions and high net worth individuals. Jeff is a bottom-up value investor in the mold of Warren Buffett who runs a concentrated portfolio of stocks that he believes are trading below intrinsic value. He focuses on establishing a margin of safety in order to win by avoiding big losers. While Jeff pays attention to the macro environment and has written extensively about his top-down view of the world, he primarily relies on company fundamentals to make buy and sell decisions. Thanks to the wonderful Internet age we live in, Jeff’s strategy letters going back to the year 2000 are available at http://www.rcbinvest.com/resources/letters.html. Accordingly, I was able to perform a good deal of due diligence on Jeff and subsequently became comfortable that we approached investing from the same point of view. For example, what impressed me the most was how clear it was that Jeff views the money management process as a fiduciary responsibility. As such, he refuses to become an asset gatherer or chaser of short-term performance. Instead, he is willing to invest with a multi-year outlook and is comfortable assuming the role of a contrarian, both of which are important to me. I also have a soft spot for people who like to write and who are articulate, as I have made myself a very minor star in the value investing world through my writings. Similarly, Jeff wrote for TheStreet.com in the 1990s and for Grant’s Interest Rate Observer. It also doesn’t hurt that he is a Penn guy as well. Our relationship continues to build but my initial impression is that we have a lot in common, especially our passion for investing and love of security analysis. I have told everyone who has asked me about the position that this is a dream job for me and I am excited to start contributing. I don’t think this is the place to talk much more about Cove Street’s strategies. That information is available on the firm’s website at http://www.covestreetcapital.com/Default.aspx. However, I do want to say that we will be looking for value and market inefficiencies in both small and large companies and will not shun international opportunities that arise. If you are interested in learning more about me, Jeff or any of the other team members, please visit the “About Us” tab on the website. Additionally, if you are an investor capable of making the Cove Street minimum investment and would like to inquire about investing with the firm, please contact Daniele Beasley at dbeasley@covestreetcapital.com. Finally, we are still contemplating precisely what will become of The Inoculated Investor blog but I assure you that I am not done writing. I have far too much to say. Most likely, my thoughts on stocks and the markets in general will appear on Cove Street’s site while this site will continue to be dedicated to unique content (event notes, interviews, etc.) that I hope people will find compelling. Thanks again for your support and for making running the blog an extremely positive experience. I hope that you will continue to follow my career on this site as well as on that of Cove Street. 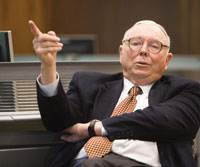 I surmise that many of you have heard the unfortunate news that last Friday's event at the Pasadena Convention Center will most likely represent the last opportunity for the value investing community to have a semi-intimate conversation with Charlie Munger. Now that Wesco is a part of Berkshire Hathaway and given that Charlie is hoping that we will find a new cult hero, those of us who long to hear words of wisdom from Charlie will have to make the trek to Omaha for the Berkshire Annual Meeting. For those of you who could not make it out to Pasadena this year, I was fortunate enough to attend the event and have compiled my notes. As usual, they were taken in real time without the use of a recording device. Therefore, I cannot promise that I was able to capture everything that Munger said. However, my goal with the notes is to recreate the narrative in a way that both provides context and captures the sentiment of Charlie's remarks. I apologize in advance for any errors or ommisions. I have embedded a Scribd version of the document to this post to retain the formatting. But, I understand that many people have trouble accessing Scribd for a variety of reasons. As such, I have also created a Google Doc that can be accessed by clicking this link. However, I am also happy to email a PDF copy to anyone who contacts me at inoculatedinvestor@gmail.com. I apologize in advance for any delay in responding. A new and exciting thing in my life is starting tomorrow and I hope you will stay tuned to my blog for details regarding this endeavor. Thanks again for following this site and I hope you enjoy the notes.